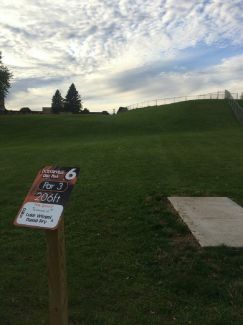 Description: Family friendly course with lots of elevation changes. Good course for beginners and for more experienced players working on their short games. Local Directions: From Highway 23 in downtown Dodgeville, head west on Chapel Street until you see the course. First tee is by the high school parking lot and baseball diamond.